Say hello to one of the most expensive dog breeds in the world. It is also one of the most recognizable with its huge fluffy white coat. The Samoyed is an energetic and playful dog, who constantly seems to smile. They are intelligent, family friendly and love human affection. However, you may have heard about the extortionate costs of buying one. But just how much does a Samoyed cost? 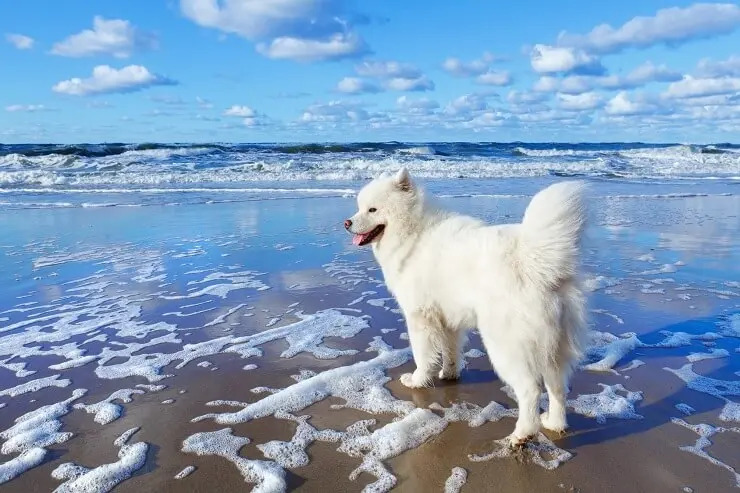 In this article we answer this question and many more including the true long-term ownership costs associated with a Samoyed. How Much Does A Samoyed Cost? So just how much are Samoyed puppies? You can expect to pay at least $1,000 for a Samoyed puppy; this price can go in excess of $3,000 for exceptional pups. With these puppies the price is heavily dependent upon the breeder and pedigree. 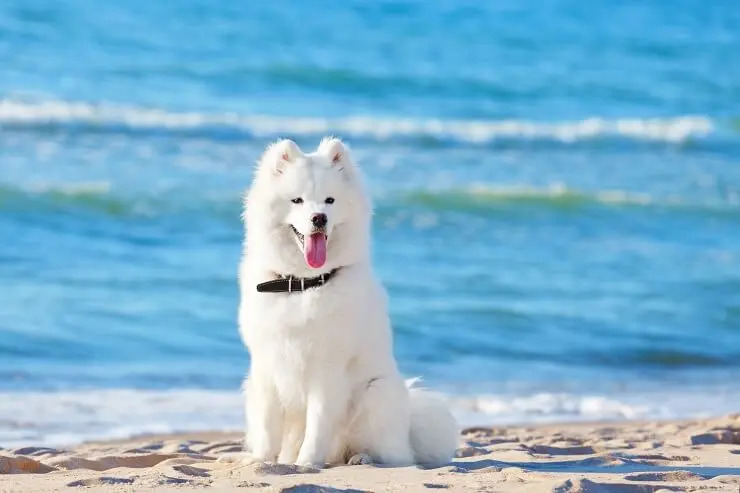 Well known Samoyed breeders, with a championship bloodline, will be able to charge $3,000 per pup; this is because of the award-winning pedigree of the pup’s dam or sire. They will also be able to provide you with the appropriate paperwork (i.e. Kennel Club Registration). Whereas if you buy a puppy at the cheaper end of the price range, it’s likely it won’t be pedigree and you also won’t get registration documentation. Your Samoyed could still be a purebred, just not necessarily pedigree (pedigree means the lineage of the dog is recognized and known). If you are going down the cheaper route make sure to thoroughly inspect the breeder before deciding to buy the pup (more on this later). If you’d still love to own a Samoyed, but don’t want to spend the thousands of dollars needed to get a pup, you could consider getting an adult Samoyed. They are significantly cheaper; however, they aren’t without drawbacks (more on this later). The average price range of an adult Samoyed will vary between $150 and $400. 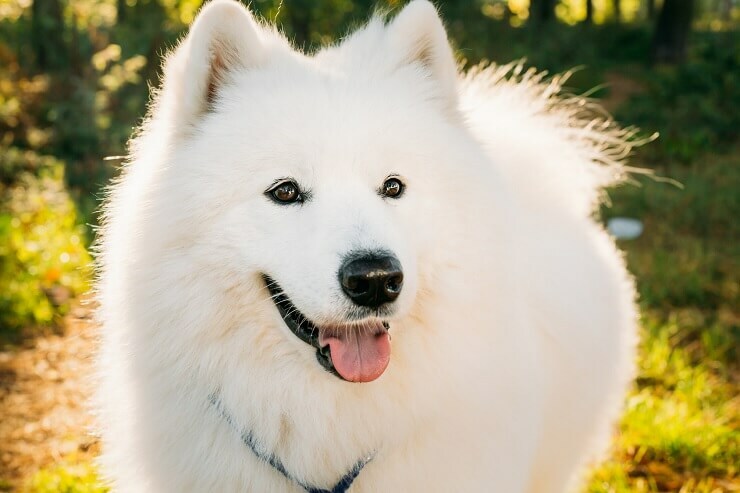 When you get a rescue Samoyed from a rescue shelter you will be expected to cover the adoption fees which will typically be around $150. This should include a full health check and for the dog to be neutered or for the female to be spayed. If you are buying an adult Samoyed directly from their owner, they will be more expensive. The more expensive adults are generally those with pedigree and who have already been house broken and trained. You should bear in mind that buying a matured dog can be a gamble. These dogs can come with significant emotional and abandonment issues which will take time to fix. They may also have been incorrectly socialized and display behavioral issues. For this reason, they are also going to be harder to train than a puppy. If you are purchasing a Samoyed for a specific purpose (e.g. a guard dog or service dog) you will have to buy the dog after it has completed its training. Depending on the type of service the dog will be doing, impacts the length and also the cost of training. Training can range anywhere from 3-24 months. You should expect to pay between $20,000 and $60,000 for a professionally trained Samoyed service dog. If you read the cost sections above you will know that the price of a Samoyed can vary a lot; ranging from $150 all the way up to $3000+. This large fluctuation in pricing is normal for purebred dogs and is because of a range of factors including: breeder credentials, gender, location and more. One of the biggest factors which impacts the cost of a Samoyed is their age. Most people want to purchase a puppy between 8-12 weeks old; this is the sweet spot. So, puppies sold during this time demand a price premium. As the puppy continues to age (past 12 weeks old) the price will drop significantly. The most significant price drop occurs once they reach one year in age. The most popular coat color is white, so they tend to be the cheapest pups to buy because they are more freely available. Whereas if you’d like a rare color (such as biscuit), then this will increase the price of the pup. Whether you get a male or female pup will also impact the price paid. As a general rule the price between a male and female will be minimal. However, this changes when we’re talking about males with potential to use as studs. Such males will demand the highest of all the prices. The ancestry of a puppy will hugely impact the cost. Is the puppy the offspring off an award-winning show dog (i.e. has strong pedigree)? Puppies with such parents, or grandparents, will command a higher price tag. If you aren’t looking to show your Samoyed then you can save a significant amount of money by not purchasing a puppy with such pedigree. Surprisingly, even your physical location can impact the cost of getting a Samoyed Puppy. If there aren’t many breeders in your local area, and the demand is high, then your local breeder could charge a premium for these pups. Worse still, if you don’t have any local breeders you’re going to need to travel to get your pup and also pay to bring your pup home; all raising the cost of getting your pup. One thing you should know is that not all dog breeders are equal. Certain breeders will meet the strict breeder requirements by the AKC. Meeting these requirements is expensive and this cost will be passed on to the buyer. Some breeders will pay lots of money to access an award-winning stud to breed with, whereas others will use non-pedigree studs. Certain breeders will use general purpose veterinarians whereas others will use veterinarians with extensive knowledge of Samoyeds. Also, different breeders will treat their dam differently (e.g. heat cycles and breeding standards). Some will be irresponsible (e.g. breed on first heat cycle and breeding back to back cycles) which causes a strain on their dam. The higher the Dam’s welfare, the higher the price. The certification provided is the single biggest factor which impacts the price of your pup. If you’re in the US, high quality purebred dogs will be registered with the AKC. Such certification costs a lot of money and ‘guarantees’ what you are buying. Such certification will allow you to explore the heritage of the pup to ensure you’re getting a pure-breed Samoyed with pedigree. It will also allow you to get a better idea of the dog’s known temperament and heredity health concerns. As a working rule, any high-level breeder worth knowing won’t supply puppies without such documentation. Remember though; after you’ve purchased your puppy there are still significant expenses to come. Although purchasing a Samoyed puppy can be expensive, this cost is by far beaten by the long-term ownership costs. Unavoidable costs such as food, veterinary fees and toys will amass significantly over time. Below we have detailed the true long-term costs of owning a Samoyed. Obviously the most cost-effective method of training is to do it all yourself, however, if you have no previous experience with dogs we would recommend a mixture of self-training and group classes. 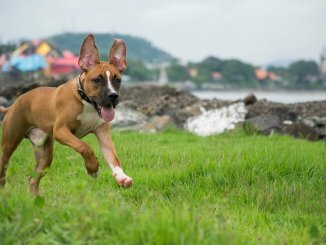 Training a dog by yourself isn’t recommended because of the importance of correct socialization in the long-term temperament of your dog. You should expect to pay between $5-20 per hour for group classes. These classes will allow your puppy Samoyed to learn bite inhibition, socialization and other important skills. As the Samoyed has a thick double coat, you can expect that grooming your dog will be a routine expense. They are difficult to groom and bathe, so most owners will pay to have them professionally groomed. Depending on the grooming you should expect to pay between $40-120 per grooming session. As they need grooming every 2 months you can imagine this becomes expensive when tallied up. Even if you try to save money by grooming them yourself, you will need to buy expensive equipment such as blow dryers, a grooming table, special brushes and much more all up front. Just like any other dog, your Samoyed will likely suffer some form of ill health at certain points of its life. However, being a pure-bred dog, it is likely to suffer from further health complications. Also, being a larger dog, it is known for suffering with hip dysplasia; approximately 7% of all Samoyed suffer from this. It can be an incredibly expensive operation which costs thousands to treat. If you aren’t in the position to pay for these bills you could consider getting insurance (more on this later). You will also have routine vaccinations and health checks to pay for which typically aren’t covered by insurers. You should expect to pay several hundred dollars per year for this. If the bills mentioned above worried you, you should consider getting medical insurance for your pooch. You should pay for the most expensive policy you can afford. Remember, cheaper policies generally have higher deductibles, don’t pay out as often and don’t cover as many medical conditions. A good insurance premium for your Samoyed will cost you in excess of $50 per month. 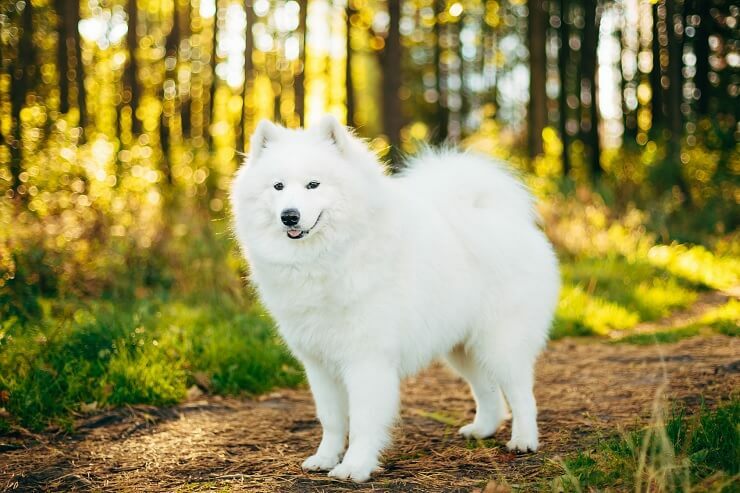 As a Samoyed is a medium sized dog, you should expect to pay a modest amount for feed and treats. Once an adult they will consume around 1500 calories a day, which will cost between $20 – $60 a month in dog feed. The biggest factor for the cost is the quality of the dog food; kibble will be much cheaper than a true raw diet. You should speak with the breeder for recommended diets based on their dam’s diet during heat and whelping. As they are so expensive, you will want to make sure you source your Samoyed pup from a reputable breeder. 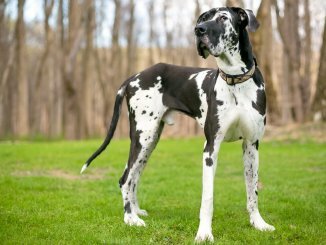 The AKC has published the recognized breeding standard of this dog, and you should ensure that any pup you get matches these standards. You should be fine with breeders who are certified by the AKC, as they have to keep to strict breeding guidelines and standards. However, if the breeder isn’t certified, then you should familiarize yourself with this standard and inspect the pups against it when you visit them. When visiting the breeder you should ask to see the pup’s parents, especially the dam. If they won’t let you then this is cause for concern. Will provide you with all the appropriate AKC certifications. They have performed health screenings to check for common health problems such as hip dysplasia. Won’t allow you to take your puppy home until they are at least 8 weeks old. A good breeder will also ask you questions because they actually care about their dogs. They will want to know about your family and social circumstances. Make you sign a contract which will have re-sale clauses of your Samoyed and health inspections. Remember if anything feels off when you meet the breeder you should trust your instincts and find another breeder. Now you’ve read our guide, you should know exactly how much to pay for your Samoyed puppy. 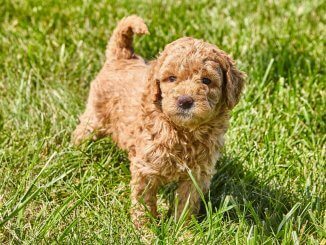 You should also know why some puppies are cheaper than others and what to look for when buying your own puppy. We also covered some of the larger ongoing costs associated with owning a Samoyed. Buying a pure-bred Samoyed is a huge decision not just financially but also in terms of the impact it will have on your life. Make sure you consider all of this when making your final decision! and yet back in the late 60′ early 70’s they would be $300. Maybe as high as $500.